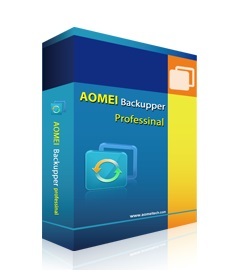 AOMEI Backupper Professional Edition is a complete, easy-to-use and reliable backup software for Windows PCs and Laptops. You can effortlessly choose what to backup, how to backup, where to backup. It ensures your system and data are protected as well as can be restored rapidly in the event of disaster. System, hard disk, partition, files and folders backup and restore. Support full, incremental, differential, and automatic backups. Backup using command line prompt or batch scripts. Merge full backup and its associated incremental backups into a single image. Support dynamic disk, MBR disk, GPT disk, and EFI/UEFI boot mode.